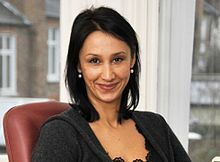 ↑ "Interview: Monica Ali, author". The Scotsman. 8 اپریل 2011. http://www.scotsman.com/news/interview-monica-ali-author-1-1587159. ↑ Gupta, Suman (2007). The Cultures of Economic Migration. Ashgate Publishing, 33. ISBN 978-0-8122-4146-4.